The Emerald City Comic Con is just about my favorite convention. Jim Demonikos and his crew do a fine job, they look out for everybody and take pride in the show they put on. 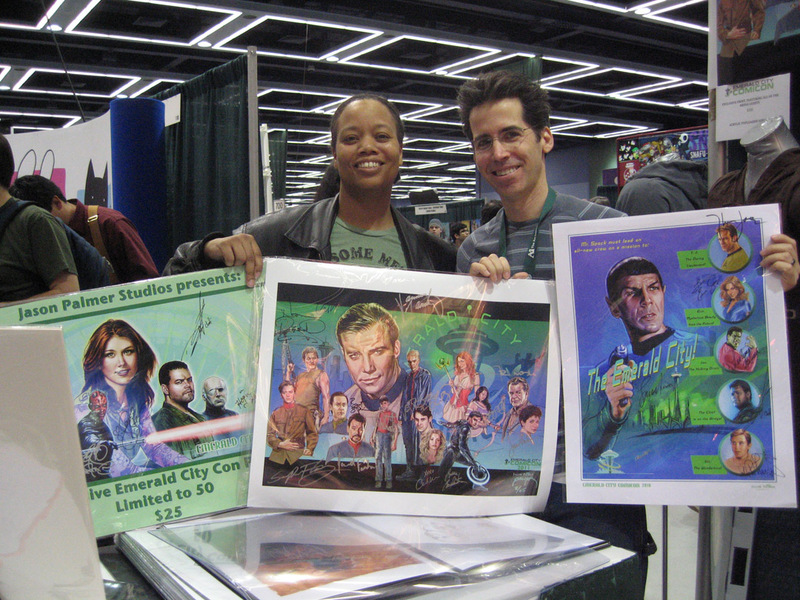 This was the 3rd year where I did an exclusive print featuring the media guests at the show. I wanted to make sure that I got this year's print done early. ..this was not to be, as there was one thing after another held me up. Once all 14 guests and the background were drawn, I had just hours to paint it. Somehow, I did it; I miracled it is all I can think. It came out just fine. 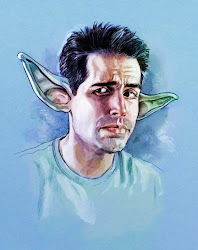 At the show, all of the actors in the piece personally thanked me*, which is very gratifying. Even more so was the reception it got from the convention goers, many of whom got the print signed by all 14 of the guests. 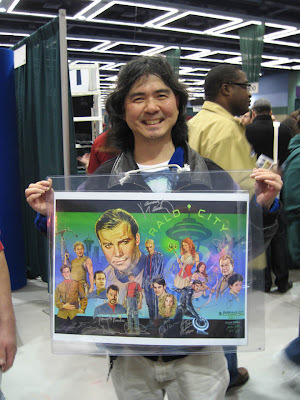 Pictured below is the 2nd person to get them all signed; the first was Lorri, who has gotten every signature, all 3 years! Yelena and I work very hard at these shows but the reception from all involved makes it worthwhile. 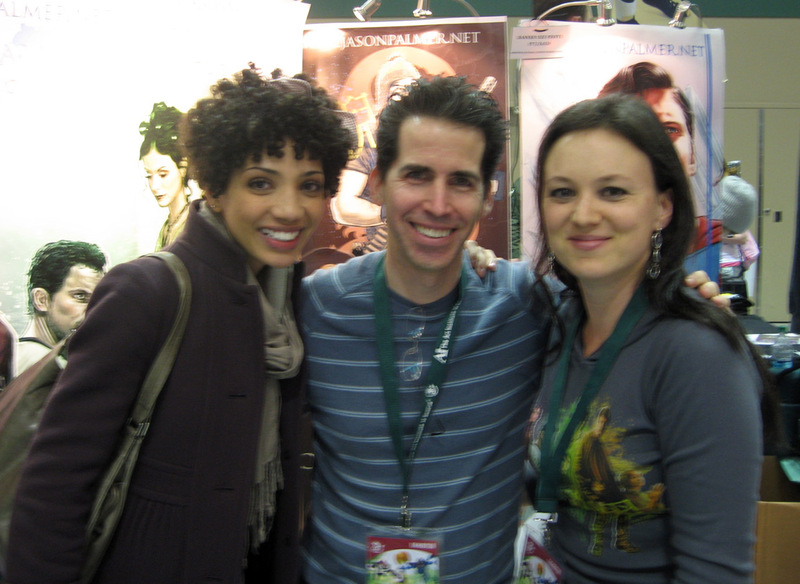 That's Jasika Nicole with Yelena and me. She's one of the cutest human beings I've ever met -except maybe Amy Okuda. 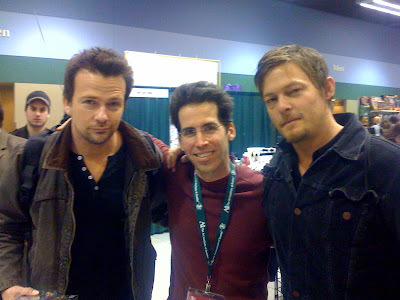 Sean Patrick Flanery and Norman Reedus are as cool as they come. Man, do I look like a dweeb between these two!